SYDNEY, May 4, 2018	(Newswire.com) - ​With Winter just around the corner it’s perfect weather to enjoy a warm bowl of soup for lunch. Launched today, Soul Origin’s hearty Winter Warming soup selection has Australians covered during the cooler months. Boasting 92 conveniently located sites across Australia, Soul Origin is renowned for its popular selection of delicious, fresh breakfast and lunch options prepared fresh on-site daily. Soul Origin is the go-to place for fresh nutritious food, catering and excellent coffee. 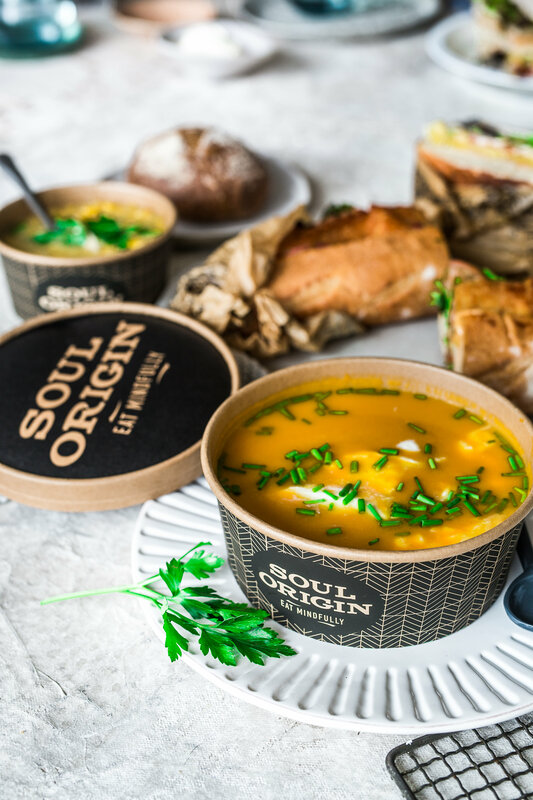 Soul Origin’s new soup selection features a range of traditional soups we all know and love, with favourites like Traditional Pumpkin and Chicken & Corn, just like Mum used to make. Soul Origin have also reinvented classics with a gourmet touch; including Smokey Bacon and Split Pea, Pulled Beef and Potato, Thai Sweet Potato, Mexican Chilli, Creamy Mushroom Parmesan, Chunky Minestrone and Roasted Cauliflower and Chorizo. Soul Origin CEO Chris Mavris says the company is very pleased to be launching the new Soup range this week. “At Soul Origin we are focused on giving Australians easy access to fresh, wholesome food and we are delighted to be launching our hearty new soups this week. We know our customers are busy and often looking for quick breakfast and lunch options on the run. With Soul Origin, Australians no longer need to compromise on quality. Our new soup menu is available at stores across the country and is full of delicious and healthy options to help keep customers fuelled each day,” says Chris Mavris, CEO of Soul Origin. Leading Australian nutritionist Lyndi Cohen says the Soul Origin Winter Warming soup range is a great low sugar lunch option for Australians this Winter. “With growing concern about the negative effects of sugar on health, more Australians are looking for low sugar lunch options. Soul Origin’s new Winter Warming soups are not only delicious but are also low in sugar and packed with nutrition. The soups have been created using high-quality seasonal ingredients to maximise the flavours without the sugar. There’s a number of gluten friendly soups as well as several plant-based options. With a wonderful selection of delicious flavours to choose from there’s something for everyone,” says Lyndi Cohen. Since opening its first store in 2011, Soul Origin has experienced exponential growth with over 92 stores now across Australia. From friendly, trained staff and baristas, a wide range of fresh and delicious food and store fit outs that enable quick service, Soul Origin is focused on exceeding customer expectation and helping customers eat mindfully every day. Soul Origin is revolutionising the way people see fast food. Since opening its first store in 2011 the company has experienced rapid growth with over 92 stores across Australia. Soul Origin’s mindful approach to fresh-but-fast food is revolutionising the choice of Australian consumers. The company offers a range of nutritious and delicious breakfast and lunch options, with everything prepared fresh on-site daily. Soul Origin’s product range includes a vibrant selection of wraps, sandwiches and salads, along with world-class coffee and sweets as well as catering packages.